As Language Tracking Coordinator for the Global Recordings Network, Gerry works with recordists and directors for all the centers and bases to coordinate recordings and distribution. The purpose of her department is to keep track of languages/recordings already made, and help focus the efforts of our staff on the most unreached people groups still lacking audiovisual resources. Ensuring correct information in our database (GRID) is very important, along with creating maps by regions and needs which help us visualize the task ahead. Gerry spent her childhood in Oaxaca, Mexico, as the daughter of Bible translators in an indigenous village. She witnessed the power of the Gospel to transform lives and communities. For 35 years she and her husband, David, worked among tribal groups in Oaxaca, first with a medical clinic, then as directors for GRN Mexico and the Culiacan Project for 20 years. Since 2010 they have been with GRN USA in the Temecula office. Gerry’s passion to share the good news about Jesus leads her to interact with refugees and migrants from Africa and Asia in local outreaches. 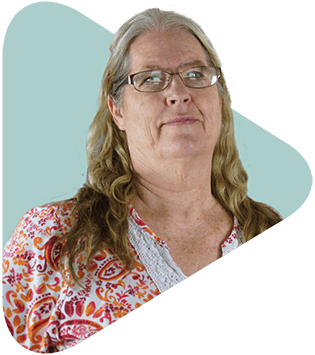 Gerry and her husband, David, are currently serving in the Temecula office. They are parents of two sons and two adopted daughters, and have one grandson. Gerry graduated from Medical School in Mexico in 1973, and worked among the Zapotec Indians of Oaxaca for almost 40 years. During that time, she studied linguistics and has translated half the New Testament into a dialect of Zapotec. From studying and treating illness and languages she moved on to researching people groups of Mexico, the Americas, and now the world.